Does anyone else remember this cake? 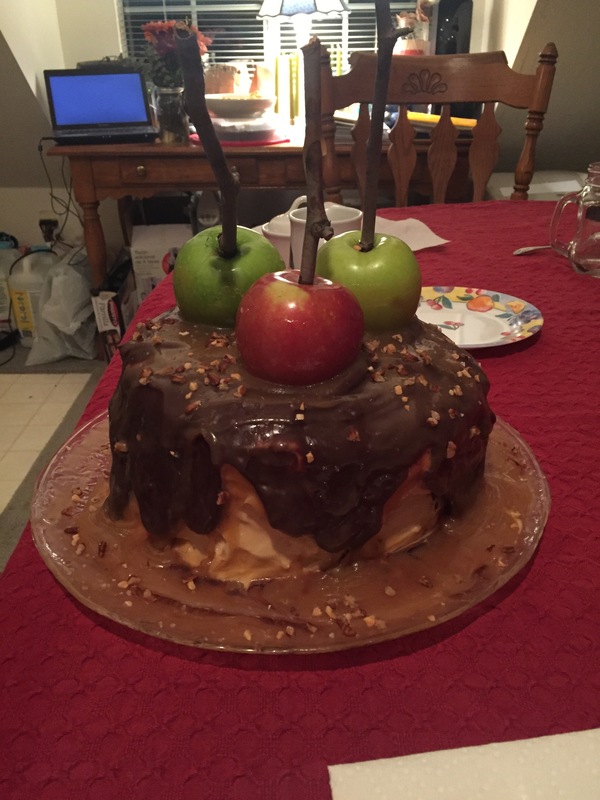 Oh the mess… Back in 2015 I promised I would make this cake EVERY year for the rest of my life… Well last year it didn’t happen… And so far this year not so much… I have been busy I’m sorry!!! If you remember the recipe like I do you’ll remember that it’s just a bunch shenanigans. They are worth it but it’s crazy! Maybe when I’m not trapped in this tiny tiny kitchen I’ll make it again. Maybe I won’t care and I’ll end up making it sometime soon… Luckily I’m doing this Flashback and I can take a check back at the ingredients list 😉 The Cake of all CAKES Oh my goshhh. Looking back I am now recalling the caramel mess I made everywhere! …I’m for sure going to have to get better at that! 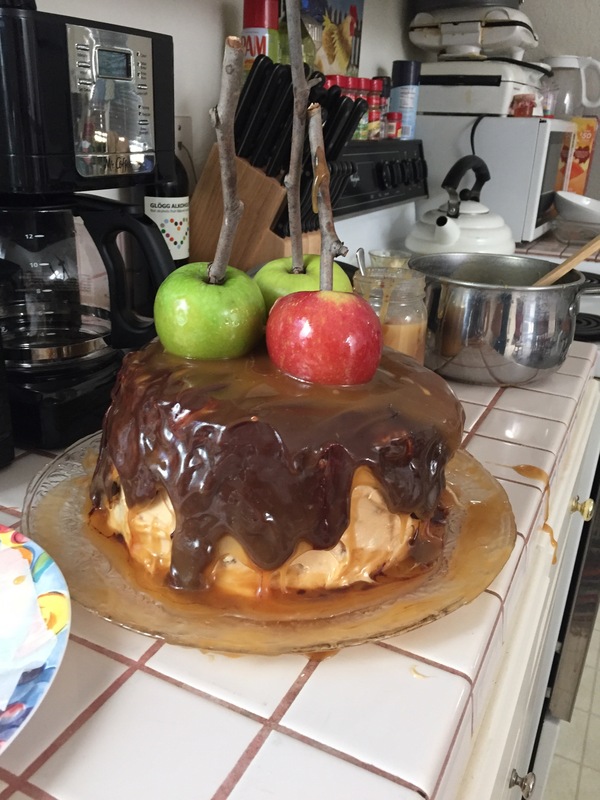 That became a mess simply because I was excited and poured still warm caramel all over my cake and it all just continued to pour right off the cooled cake. HA HA! Oh the lessons learned this day, and I just wanted to impress my now mother in law! Oye…. So we will see if we have time next month… Ahh! Categories: DessertsTags: baking, blogger, blogging, caramel, chocolate, chocolatecovered, cottagehome, delicious, delicous, desserts, emilysardor, etsyowner, etsyseller, flashbackfriday, food, happyholidays, homemade, nocounters, recipe, Recipes, smallhouse, snickerscake, tinyliving, wordpress, yumm, yummy!! Previous PostMinnie Winnie at the GCR Next PostVideo Recap Post!